Senior Author: Semir Vranić, M.D., Ph.D.
Editorial Board Members: Raul S. Gonzalez, M.D., Kelly Magliocca, D.D.S., M.P.H., Maria Martinez-Lage Alvarez, M.D. Cite this page: Terlević R. SSTR2A. PathologyOutlines.com website. http://www.pathologyoutlines.com/topic/stainsSSTR2A.html. Accessed April 25th, 2019. Contributed by Robert Terlević, M.D. 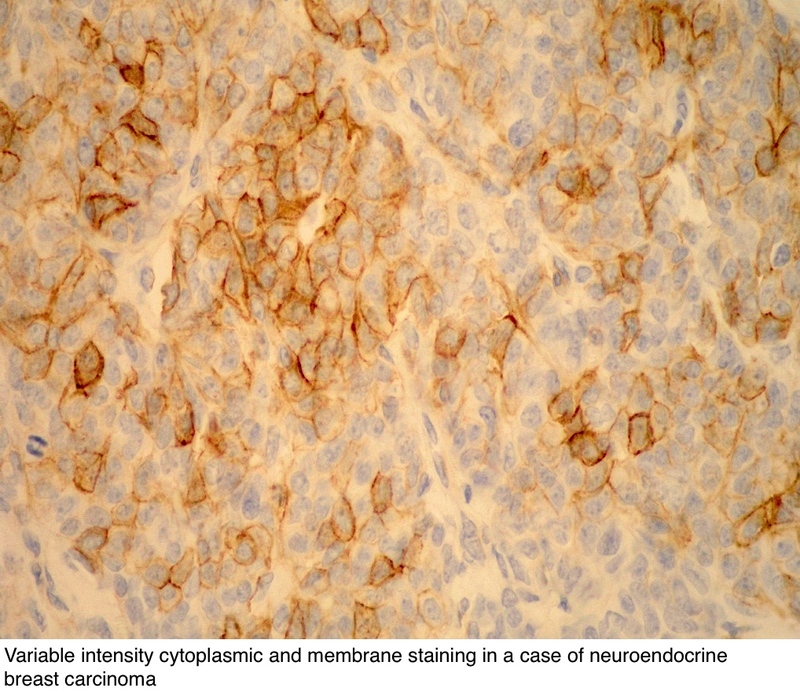 Which of the following tumors is most likely to stain with SSTR2A?